Home Baby What If Your Spouse Died, While You Were TTC? What If Your Spouse Died, While You Were TTC? With tears running down her face, she stood in the emergency unit of the hospital she had rushed her husband to, in the dead of the night. He had suffered a heart attack, and had collapsed inside their bathroom. She had no idea how it happened, because they had been fighting over the bill their fertility clinic had given them, which he thought was on the expensive side, and he wanted a second opinion. While Blessing had insisted that she was not going to any other doctor, and was interested in staying on at the clinic until she got her baby, however long that would take, even though she was keeping her fingers tightly crossed for the very best. While her husband had stormed off into the shower closet to have his bath, Blessing had gone off to the sitting room to watch some TV. Getting some water and fruit, she sat down to forget her pain and her husband’s tantrum. Thirty minutes passed, and she did not hear any movement from their bedroom, she thought that, perhaps, he had changed his mind about eating dinner again, and had gone to bed. Fifteen minutes later, she went into the bedroom to check up on him, he was not in bed…and hadn’t been from the looks of things. So she went into the shower closet, and that was when she realized something had happened. Her husband, Ubani was slumped naked on the rug just outside the shower closet. Looking for his pulse, she scrambled for his wrist, his neck pulse point, put her ear on his chest to check his heart beat. It was very faint. She rushed to her neighbour’s house, hammering on their door and shouting at the top of her voice for them to help her take her husband to the hospital. Thankfully, the neighbour, who had been quite friendly with them, responded on time and helped Blessing put some towels on her husband, as they rushed him to the hospital. On the way there, he woke up and was moaning as he clutched at his chest. Begging him not to talk, Blessing promised all sorts, through her tears. It was close to 1am when they got to the hospital, and the doctors swooped in on him, as soon as they saw the ashen look on his face. Standing in the waiting room, Blessing’s life flashed before her eyes. She could not lose her husband…not now, not ever. She remembered Ubani, her Ubani, her wealth, her first love, the only man selfless enough to take her back, when she had broken his heart by being unfaithful. He was patient with her, even when she did not deserve it. He was her biggest fan. He saw no wrong in her. Because of that, he had been labeled weak…a woman wrapper and an idiot… but he had stayed with her, loving her even more than she loved herself. Ubani was her everything. Their love story started when they were teenagers. They had met at the tutorial centre, where they were both going to get extra lessons to prepare them for their forthcoming terminal exams; WAEC and JAMB. 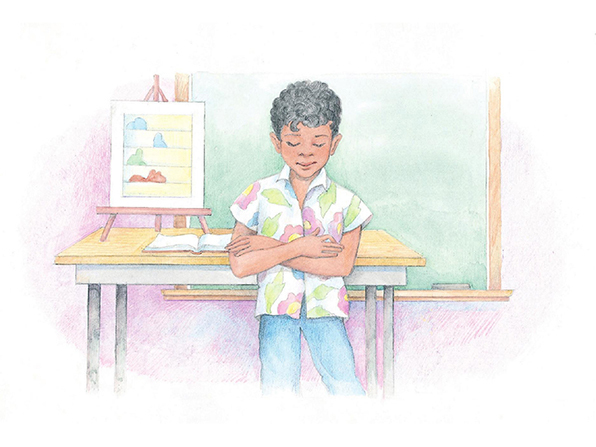 On the quiet side, Ubani was not one of the popular people in their class, while Blessing was everyone’s friend. She was the assistant class captain, so had business with everyone in class. She was also smart, or so she thought. Teacher asks a question, and you could bet that Blessing would be one of the first to raise their hand. But one day, Ubani had the opportunity to shine in their class and they were all shocked. He was a walking reservoir of knowledge untapped, unknown to the whole class. It was a knotty further math questions that made everyone in class looked foolish, until Ubani, for the very first time since he started at that centre, raised his hand and offered to solve it. He stepped forward, solved it and the class burst into applause for him. When he was asked to explain, how he got his answers, the timbre of his on-the cusp-of-manhood voice vibrated through the class. Everyone took notice that there was a big, previously unnoticed fish in the class. He started to come out of his shell after that time, though not completely. One person in the class that he was always tongue tied around was Blessing, and that was because his young heart was in love with her. He finally found the courage to ask her out, but then she refused, saying she had no time for boyfriends. A half truth, as she already had a boyfriend, whom she was considering dumping, if Ubani pressed harder. He didn’t, so they became friends and a relationship of sorts developed from there. They both passed their exams, got admission into the University, same state but different universities, so they got to see each other pretty often. Till that time, they had not put a name to whatever was between them, but in Ubani’s mind, they were exclusive. It was until Blessing introduced a guy to him as her boyfriend that Ubani knew he was about to lose out on her, the girl he had been eyeing for years. He told her he wanted her as his girlfriend, not just his friend. This was all it took. Her boyfriend became history, and she and Ubani became an item, inseparable since then. When they got married and a baby was not forth coming, he stood firmly beside her. He went for doctor’s appointments, tests, and examinations, as well as carrying out his own research. He was really involved in the whole business. It was with the news of a new clinic he had heard and read about, and wanted them to try, that had led to their last argument. He had been aggravated that, rather than hear him out about the new clinic, she was brandishing a new bill from their current clinic, where they had already had one failed cycle. However, when Blessing wanted her way, she wanted it, and nothing would stop her. Even though he hated any quarrels with his woman, that night, he felt the need for his voice to be heard. He went in to have his bath, and then he did not remember anything, until he regained consciousness on the way to the hospital. Thankfully, it was not a fatal episode. He hadn’t had a heart attack, as his wife had feared, but a mild stroke, which he was able to recover from, albeit with extensive physiotherapy to restore the function of the left side of his body. .
That incident brought to the fore the fragility of life. They were yet to have a child…their own love child. Yes, they were both advancing in age, and yes, there was mounting pressure from family, and yes, it seemed like everything was stacked against them. But their love was enough to see them through. They are still actively TTC, but with a lot less pressure on each other. They have learned to be more in tune with each other’s feelings, and how to step on the breaks when the other party feels overwhelmed. They have learnt that, despite their desire for a baby, without each other, there would be no point. They have realized that even though they need each other to TTC, they need each other to be complete. Previous articleMorayo’s Mountain 31: Evil Witch! A few weeks ago, the hubby told me a story he heard from one of his friends about a couple who were TTC. They were both based in different towns because of work. When the woman realised she was in her fertile period one weekend, she called the guy to come home n he travelled a long distance home, they did the deed and the guy passed out. He was rushed to the hospital but passed out a few days later. I was shocked to the core when I heard the story. Things happen @kaay! It just shows how fragile our lives are; here one minute, gone the next. That’s one forced TTC break. There she must have been crying for a baby and now, mourning her husband. Mehn! Life ain’t fair.? Thank God for life. Every other thing, He will add unto us in His own time. You can say that again, Esther. I second that, Maryam. TTC is for only those who are alive.